Before seeking chiropractic services, many want a clearer understanding of what chiropractic really means. Literally meaning “done by hand,” chiropractic helps correct or improve misalignments of any joint in the human body, especially the human spinal column. A number of tools and techniques are called upon when providing modern chiropractic services. Chiropractic services always employ a variety of tools and techniques. Contrary to popular opinion, a crrraaack! isn’t always necessary or heard. And, while some may seem strange in comparison to the simplicity of just popping a pill to treat pain, the tools and techniques have been developed over many years based on observation, evidence, and science to treat the underlying reasons. Chiropractic doesn’t just help you try to mange pain. This technique utilizes the human body’s own muscle structure to correct the misalignment of joints. This does not involve any quick movements or movements resulting in audible sound. This technique utilizes low amplitude and high velocity movement to correct the misalignment of joints. 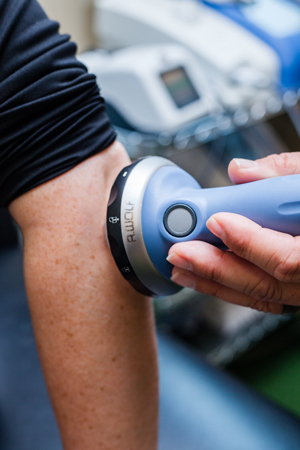 This technique utilizes a small device to create an impulse that can make a short reset onto the muscle structures as well as joints to correct the misalignment of joints. This does not involve any quick movements or result in an audible sound. The most elite, evidence-based system available to treat global spinal column misalignment, this technique has been proven effective for many injuries. Those suffering from cervical kyphosis (text neck or military neck), scoliosis, and other forms of spinal dysfunction can benefit. X-rays are used to see bony tissue and in some instances, even soft tissue like that of the human lung. Not Sure How Your Health Concerns Fit Among Our Chiropractic Services? Simply call or contact us to discuss your needs. Our locations are convenient throughout the metro Atlanta area, and we look forward to seeing you.